A powerflul bio slovent for easy cleaning of insects and other bio-based dirt from the paintwork. A powerful tar, asphalt, oil and salt slovent for easy cleaning before actual washing. 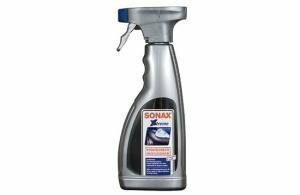 Sonax's new and sturdier bio slovent for gentle removal of insects and other bio-based dirt from paintwork and trim.